From retail stores to restaurants, businesses are always looking for new ways to sustain and grow a steady customer base and increase product awareness. 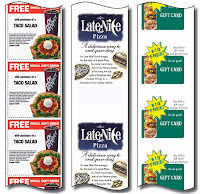 Color printing on receipt paper rolls helps to enhance branding and customer communications. This creates the ability for businesses to use their receipts as promotional tools. Red: Encourages appetite and evokes strong emotions. Many restaurant chains like Wendy’s, KFC, Pizza Hut and McDonalds use red in their logos. Orange: Incites feelings of excitement, enthusiasm and warmth. Orange is often used in signage to draw attention or promote a sale. It is also an appealing color to children. Yellow: Makes people feel optimistic and warm. It is a stimulating color that draws your attention so it is often used in promotions. Green: Associated with nature, ecology, health and tranquility. It is often used to promote natural products. Blue: Induces feelings of serenity, trust and dependability. It is the color most preferred by men. Purple: Often thought of as symbolizing wealth, royalty and success. Businesses often use purple to represent a high quality product. Pink: A youthful and lighthearted color that is also calming. Businesses targeting women may benefit from using pink in their promotions. Black: While it can be thought of as a powerful and controlling color, it is also thought of as trendy and high end. It works well when used with vibrant jewel tones. Brown: Evokes feelings of comfort, maturity and reliability. Like green, it is often used to promote wholesome and organic products as well as outdoor products. By investing in custom printed paper rolls, you can instantly increase awareness at a low cost. At a minimum, adding a color logo and website information will reinforce branding and increase product awareness. But that is just the beginning. Why not go one step further and use the receipt as a more powerful marketing tool? 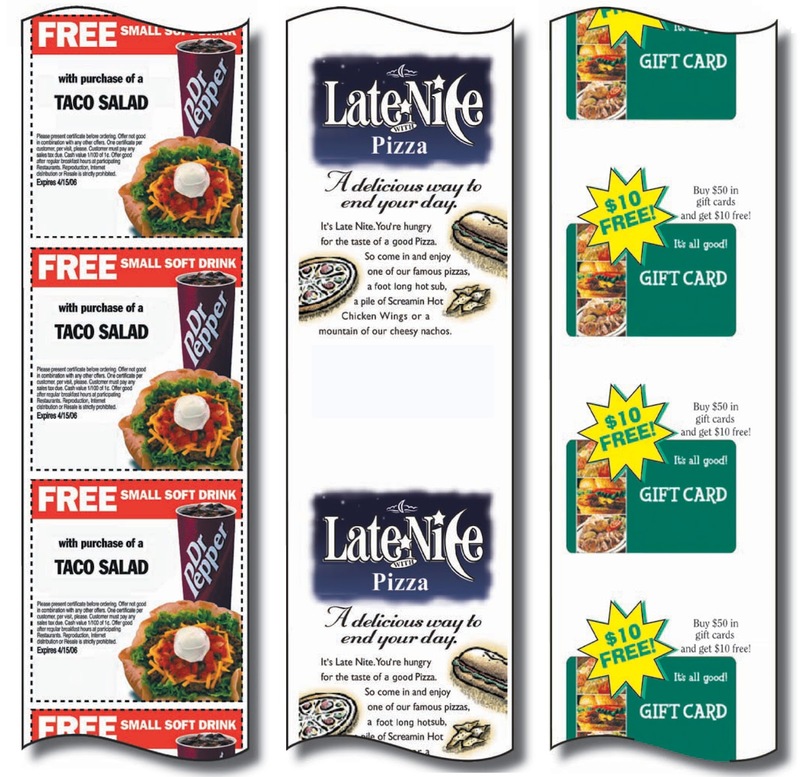 Your business can increase customer visits and build brand loyalty by simply featuring a color coupon or special promotion on the back of your pre-printed paper roll receipts. Another way to achieve color accents on your receipts is through 2-color thermal papers. This thermal media has been available for some time and offer blue / black and red / black printing combinations. These high tech thermal papers generate 2-color images within the receipts. There are many printers on the market with the firmware needed to generate the two color text and graphics. The down side is that the paper is currently hard to find and thermal coaters require a significant volume to produce these products. 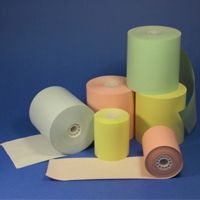 This option is an economical alternative to pre-printed rolls. These colored paper rolls are a simple and easy way to make your business stand out from all the rest. Instead of custom printing, you can choose a paper roll in a solid color like blue, green, yellow, or even pink. Using colored paper rolls is a simple yet effective marketing tool to ensure customers remember your business by your attractive receipt. With plenty of colors to choose from, it couldn’t be easier to brighten up your receipt! Now that you know how to add color to enhance your receipt, the options for promotions on your receipts are almost endless. They can include logos, coupons, email registration, advertising specials, promotion of special events, customer surveys and employee recruitment.